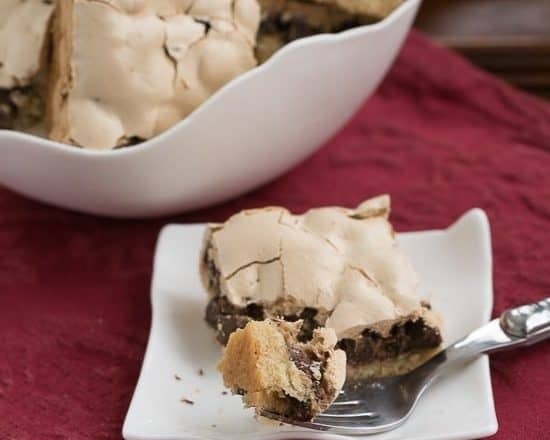 This recipe for Meringue Topped Chocolate Chip Bars has been around since the 1930’s. They’re often called Chocolate Halfway Bars and are a close relative to Mud Hen Bars which have the addition of marshmallows. When I saw them on the American Heritage Cooking blog, I knew I must give them a whirl. The original recipe calls for shortening in the base, but I swapped this out for butter, plus upped the original chocolate. Duh. The crackly meringue topping isn’t the easiest to cut. Scoring while warm may give a better presentation, but we were running out the door when these came out of the oven. The family didn’t seem to mind the that their bars weren’t perfectly square or covered with an unmarred brown sugar meringue topping. I have a feeling you’ll be just as intrigued by these as I was…enough to give them a try. 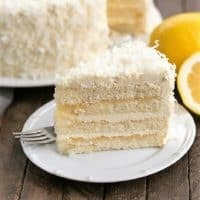 For another unique meringue dessert, check out these lovely Tropical Napoleons. 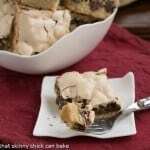 A unique, old-fashioned chocolate chip bar topped with meringue. Preheat oven to 375° and line 8 x 8 inch baking dish with non-stick foil or foil sprayed with non-stick cooking spray. In a small bowl, whisk together flour, salt, soda, and baking powder and set aside. In a larger bowl, using a hand mixer, beat butter with the 1/4 cup sugar and 1/4 cup brown sugar until very light and fluffy. Add egg yolk, water, vanilla; mix well. Stir in flour mixture. Pat into baking dish and top with chocolate chips. Beat egg white until stiff; gradually beat in ½ cup brown sugar. Spread over chocolate. Bake in for 25 minutes or until top is golden. Cut into bars while warm. Cool completely. Total time does not include cooling time. I would never have thought of meringue on top of chocolate chip bars. I have never actually heard of it but I am glad to make its acquaintance. I love Good Housekeeping, Liz! The recipes are so trusty. I often steal the whole recipe section from my mum’s GH magazine and they’re great! Love these bars … your lucky family! Love that crackly, crunchy meringue topping! How unique! I love bar cookies…so easy! 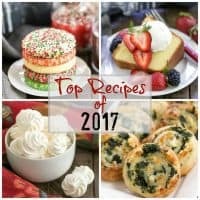 Thanks for featuring these and the link up! I’m so glad you and your family liked them! They definitely didn’t cut into the prettiest bars but, after a bite, I certainly didn’t mind! Your photos are beautiful! I have a lemon bar recipe that has a similar meringue topping, it’s so tasty. You can never go wrong by upping the chocolate! I’m with Suzanne in regards to using a meringue in this way—never would’ve thought of it. And the crunchy cracks I wouldn’t mind a bit, especially when they give way to that macaron-like chewy-soft interior. 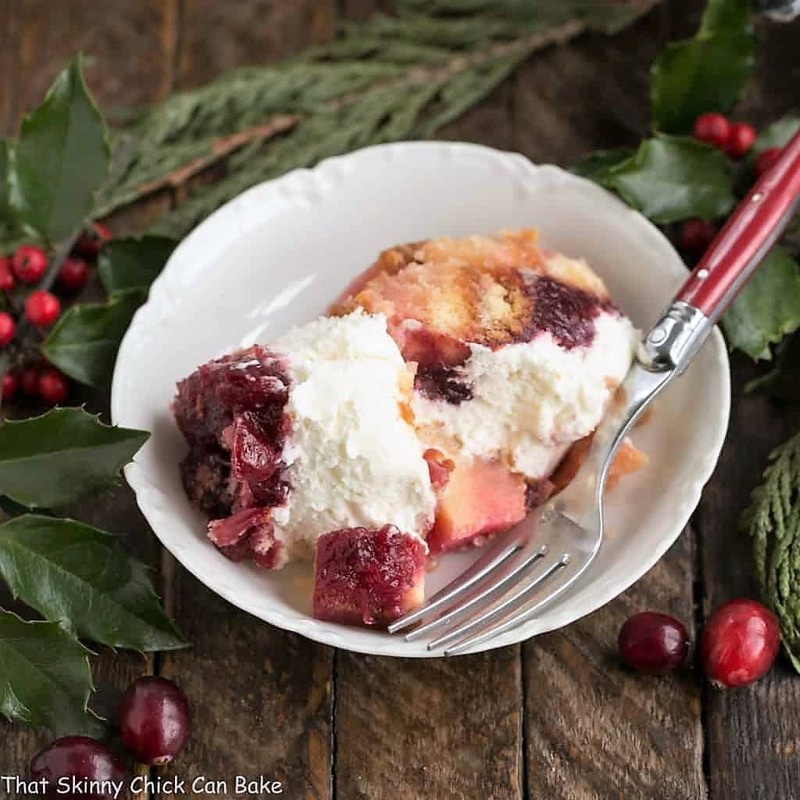 Glad you spotted this recipe from Lindsey to share with us! These are two things I never would have put together but I just know it is a delicious combo! Oh my goodness, what a genius idea! Not to mention delish! I love this Liz! 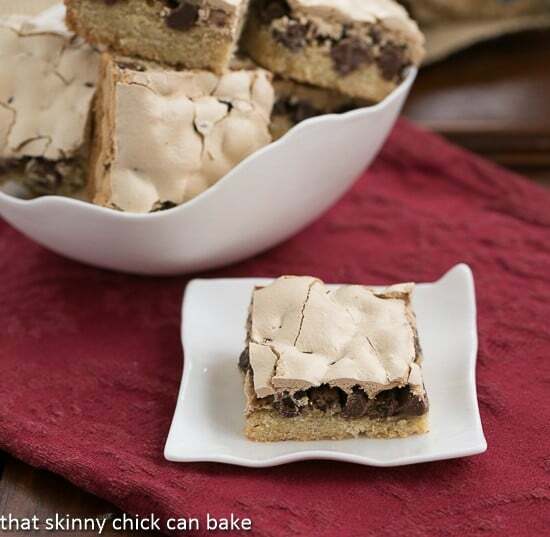 The meringue topping is such a great idea, and this chocolate chip bars look delicious. These cookie bars look killer, Liz! I like the cracked tops – it gives the bars an authentic, homey, comforting look. 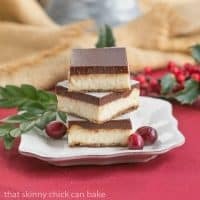 These bars look like they have the best texture, I love the meringue topping! I have all these ingredients in my pantry and fridge. Am making them as my reward when I finish doing my taxes. (My accountant is talking to me sternly to get them sent.) If you’re all running out the door, it must mean that the state of the Berg family health is good. These bars look amazing. I’ve never seen meringue on bars. I thought it was used only on lemon pie or as cookies. Can’t wait to try them. I remember these bars, my mom made them all the time when I was a kid. Your look so yummy. I imagine these bars would be as delightful as they look! Meringue takes these bars from good to sublime! Perfect ,even if the meringue is marred and the square not quite perfect. Just send the imperfect ones my way! I’ll be happy to oblige. These look brilliant! I can’t wait to make them! Liz, you have some really amazing bar recipes in your blog. These chocolate bars with meringue top look fabulous. This sounds like a very fun recipe and I bet the crackly top is so delicious. This sounds like an oldie but a goodie . Fabulous! 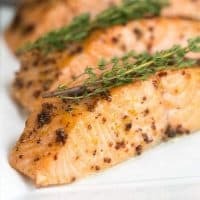 I always think that some of the best recipes come from the 50s and 60s – or maybe it is nostalgia. 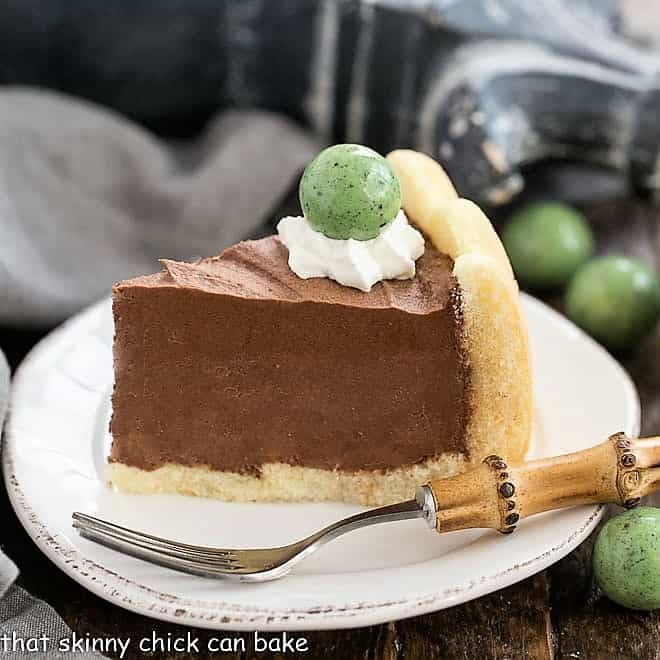 I love the layers of this and the meringue topping. Meringue on top is a pretty good idea. yes! very intriguing! I love mud hen bars, so I think these would be great. I think they look just picture perfect! My mom used to make a dessert that was similar in style, except that she made it with raspberries. She’d serve it warm, which kept the meringue tender, and topped it with ice cream and raspberry sauce. I’m super curious to find out how it tastes and feels with the meringue on top, chocolate in the middle and then the crust on the bottom! These bars are beautiful. I love them just as they are. Love cookie bars but would never have thought to top them with meringue – that sounds incredible Liz! Love how pretty they look with the crackled topping too. I giggled when I read “mud hen bars!” These are lovely meringue-topped chocolate chip bars, Liz. They look special. WHAAAAT?! Why have I never heard of these? Tasted these? Ugh… gimme gimme!! These remind me of something my mother use to make that I had forgotten all about. I loved the crunchy meringue and the sweet goodness below. Even though I try not to bake much, I’m going to have make these. They are irresistible! I am definitely intrigued enough to give these a go, I have never had meringue topped bars before, its a really good idea one which I wish I had tried ages ago the flavour possibilities are endless here! I have been making these bars for decades! 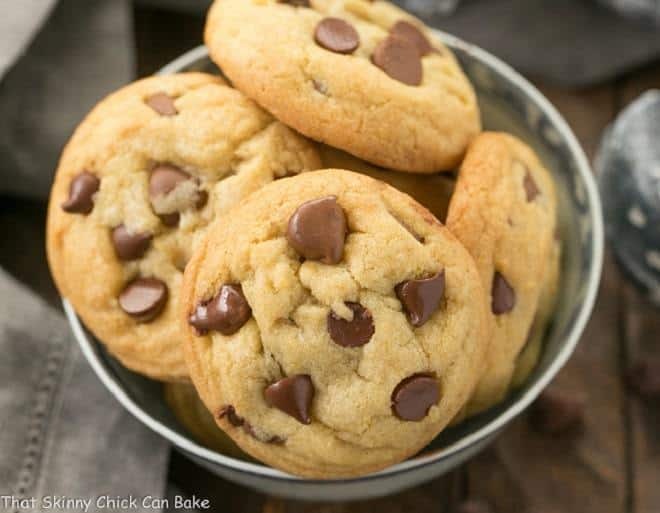 Try them with butterscotch chips instead of chocolate, they are my daughter’s favorite, simply heavenly. You’re most welcome, Patty! I need to make another batch!! !